“Judging by the thousands of page views registered for this blog post, it is obvious Malaysians are very concerned with Malaysia’s public transport system. “Traffic congestion is a perennial woe for motorists and buses in the major cities. 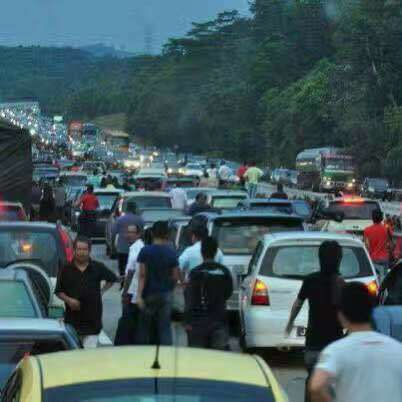 And at every major festival, the Balik Kampung folk gets caught on the express highways for hours, despite paying tolls,” he added. “Where is the logic? We pay tolls to endure traffic jams? 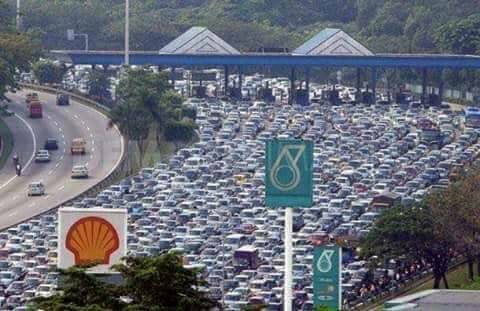 For example, at the LDP-Penchala Toll Plaza, it’s a daily affair of severe traffic congestion for motorists going to and returning from work. “Why is that so? One reason that I see is the lack of proper traffic dispersal system by the toll concessionaire Litrak,” he added. Syed Razak, who is Gerakan’s nominee to contest N.37 Bukit Lanjan in the coming 14th General Election (GE14), said: “It appears Litrak is only interested in toll collection, not delivering service. “The traffic congestion is obviously due to the bottleneck after the toll plaza. Yet, Litrak is now constructing and adding more toll booths to its existing 14 toll booths (or 14 lanes)! “Does that make any sense? Traffic on 14 lanes squeezing into three or four lanes! Litrak is just helping to worsen the congestion. It is just interested in toll collection, it couldn’t care a less about the bottleneck problem,” he added. Syed Razak said: “It is obvious, Malaysians living in the cities, especially those in the Klang Valley, need a really reliable and yet affordable public transport system. "Stephen Tan Ban Cheng We cannot run our trains properly. I don;t think we can do this yet.I am told that more than 30 years ago, we bought a multimillion-ringgit computerised traffic dispersal system and sent our guys to familiarise themselves with the system. They came back. Then came the computerised system. I am told it was never opened because the guys we sent for the study trip came back without knowing how to handle it! Steven Lee Why are trains elevated or undergrown in cities? Because there is no space on ground level. So where is this trackless train going move on? Can existing roads be widened to add space for the trackless train? Meng Hooi I think it is possible. Remove all the road centre dividers, create an enclosed lane for the train or whatever to ride unabated, no more the need for buses, more people rely on faster public transport, traffic reduced and traffic jams eased. Possible? Winston Lopez Yes this system still has to compete with other road users and I don't see how on earth it is going to ease traffic congestion. Perhaps suitable only where there are no other competing form of transportation. Stephen Tan Ban Cheng (1) Meng Hooi, the trackless technology is still being tested. Once it's ready, our traffic planners will have to take hold of this obvious game changer and replan how our roads are going to be used, even probably having to identify and redesignate the roads in certain identified areas for the use of these trains. Stephen Tan Ban Cheng (2) What this does show is that China is now wide open in experimenting with new ideas since it has the largest corps of engineers - bigger than even the US itself - and it is even experimenting with other more traditional sources of energy such as dams and solar energy but with upgraded features. Stephen Tan Ban Cheng (3) China is telling the world it has "chi lai" or woken up - something Napoleon warned the world about, being also fully aware of the Thucycides Trap that came about after the Peloponnesian War pof the 5th Century, Meng Hooi. Stephen Tan Ban Cheng (4) While China is emerging with the gigantic Road and Belt initiative, another game changer, the US is exhausting itself in sporadic wars in so many countries, losing sight of the "manifest destiny" that it once proclaimed it had. The immediate outlook for world peace can be described as turbulent skies ahead, Meng Hooi." 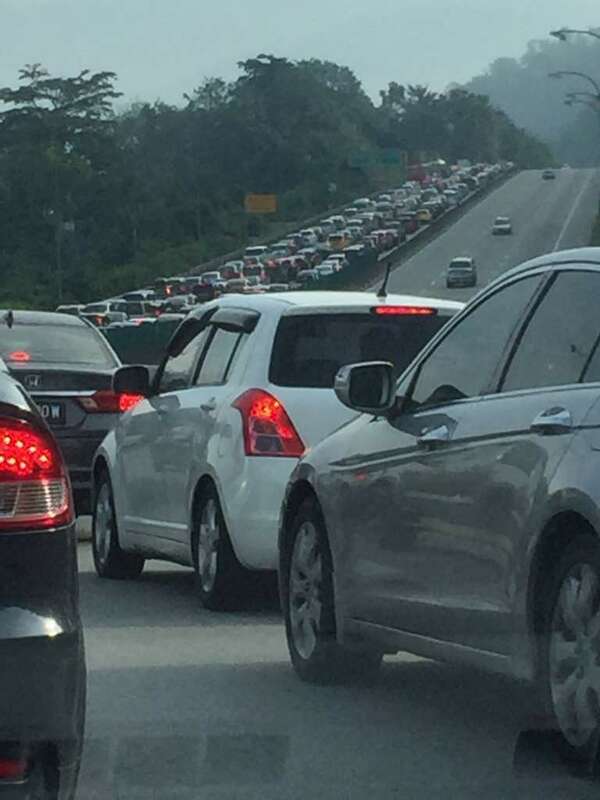 The Rawang r&r has been closed for more than a year. Next r&r is tapah which is a good 120km? Hello?... 120km my friend! Ridiculous! Before closing plus should provide alternatives for users to rest, break, Solat, stretch or simply Rest. This can also helps to reduce accidents. Plus, LLM, SPAD should put themselves in the road user shoes.